As of 6 April 2016, every dog in the UK must be fitted with a microchip - all 8 million of them. Currently around 60% of them are sporting ‘chips. Not a bad start, but that’s still a significant number of dog owners we need to inform before the deadline hits. This is exactly what I set out to do when I began the process of adding the Get your dog microchipped ‘quick answer’ to GOV.UK. This meant creating my first ever piece of content for GOV.UK from scratch. Having only been at GDS a few weeks, my focus to date had been on updating or improving existing content. Starting with a blank canvas is an exciting proposition for a content designer, but it can be a daunting one too. What format should the content take? Which details should be included, and which should be left out? How to phrase that difficult sentence..? The questions come thick and fast, and the answers aren’t always obvious. Luckily, it was a challenge I wouldn’t have to face alone. All GOV.UK content designers reserve a weekly slot in their diaries for a ‘content critique’ (crit), a collaborative session at which a designer presents a piece of content and asks for advice or assistance. It’s not always needed, but it’s a vital resource to call upon when you find yourself struggling with a particular piece of content, or just want some reassurance that you’re on track with whatever you’re working on. I encountered my first crit with a mix of emotions. Relief at the thought of sharing the big questions I’d been struggling with, and trepidation about the possibility I’d discover I misjudged the format, misinterpreted the user need, or generally missed the mark with the content. In total around 10 other content designers turned up, keen to help a colleague in need (the opportunity for dog-based puns possibly sweetening the deal a little). The tone was relaxed and informal from the outset, with people posing questions and offering solutions throughout. Generally the way it worked was that I’d raise an issue or dilemma I’d had with the copy or layout, for instance around the level of information dog owners needed to know about the microchipping process. This would spark a discussion, which would in turn generate a different but related conversation around another aspect of the content. This meant I not only received the insight or validation I’d craved around certain issues that had been bothering me, but I also gained ideas for improvements that I hadn’t thought of. Mercifully these comments were all framed in a constructive and considerate manner, ensuring my ego remained intact. Better yet, the general consensus was that my instincts around both format and content had - by and large - been correct. 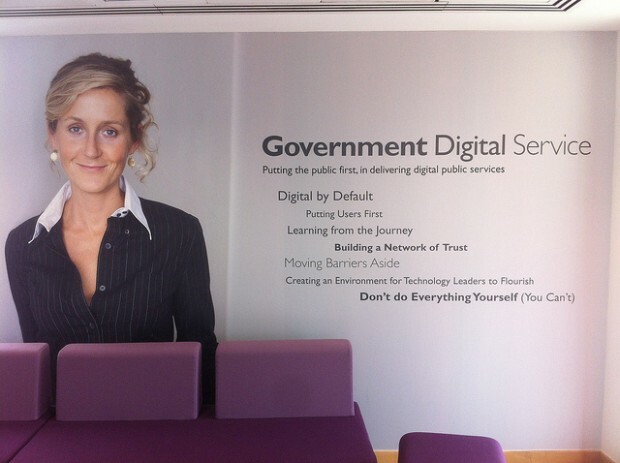 Adorning one of the walls here at GDS is a list of our 7 original digital principles. Coming in at number 7 is ‘Don’t try and do everything yourself (you can’t)’. A content crit strikes me as a great example of this in action: a group of talented individuals working together to produce something better than could’ve been achieved in isolation. It provided me with the guidance I needed to finish the microchipping dog content, and ultimately meant we could let the public know about the new law more quickly. And that’s paws-itive for everybody (sorry).